To do it right, we have to think through the connectivity. 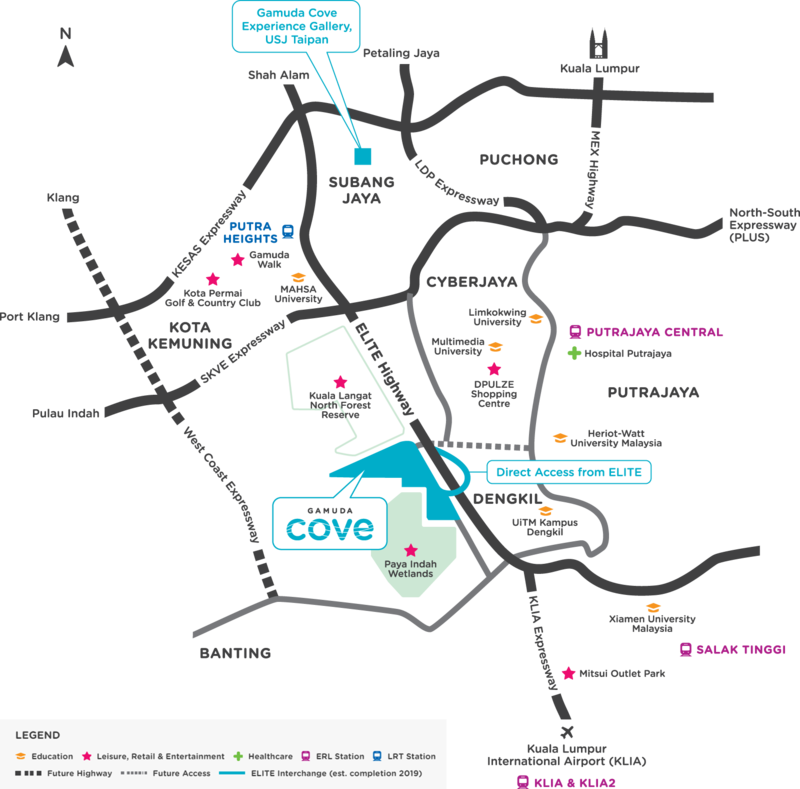 Gamuda Cove’s strategic location combined with seamless connectivity to the ELITE Highway and close proximity to Kuala Lumpur International Airport, makes it a prime destination for tourists, while serving as a one-stop hub for communities in Southern Klang Valley. The township's location within central Peninsular Malaysia and the vicinity of the KLIA international trade zone makes it a strategic gateway within Southern Klang Valley. This smart sustainable city is also designed to be ready with integrated pedestrian walkways, tramway network, shuttle bus and environmentally friendly Electric Transit Vehicle infrastructure to provide intercity and intracity connectivity. This is how we use mindful planning to connect your home to your neighbourhood, and your neighbourhood to the world. This is how we create a town that can keep on growing, for today and for the generations to come. Be part of the Gamuda Cove community today.